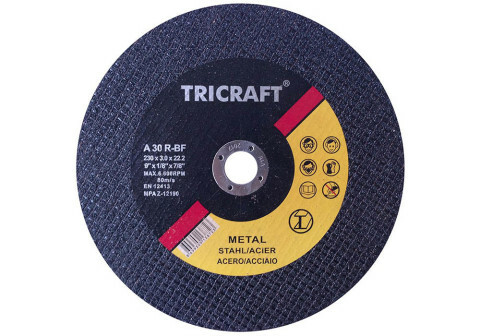 Tricraft Cutting Wheels & Discs for Steel & Metal , Type 1 and type 27 , use with Angle Grinder, 4" to 9" , 80M/S ,Designed for sharp, clean cutting action on carbon steels , general metal . carbon steels , general metal . 1. Special abrasives materials , newest formula to make the cutting fastest , longer lasting. 2. Without black paper on the two sizes , very good heat dissipation during cutting , no burn when cutting stainless steel . 3. Very good handle feeling , make your work easy and fast . 4. Imported resin , make the wheel enough safety , also best performance , supply you the best cost performance . 5. 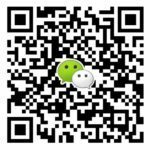 This products developed under hundreds tests of other famous brands of the world , very mature to compete with other brands in different market .